Because New Zealand had no native land mammals and very few predators, several of the birds are flightless, and most are naturally friendly and inquisitive, which makes them very vulnerable to introduced predators such as dogs, stoats, rats and mice. 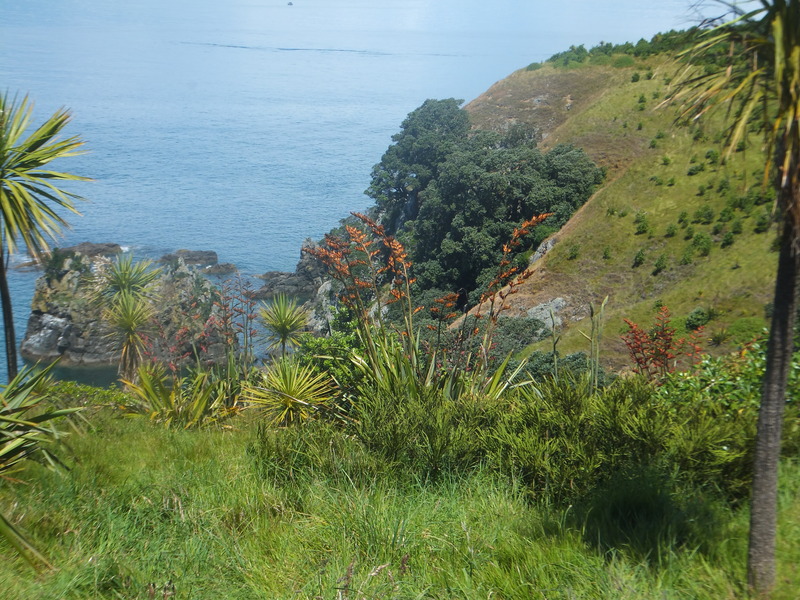 So some species now survive in the wild only on island sanctuaries such as Tiritiri Matangi. A few, such as the Black Stilt we saw near Twizel, and the Kakapo – a very big flightless parrot – survive only with managed breeding programmes. 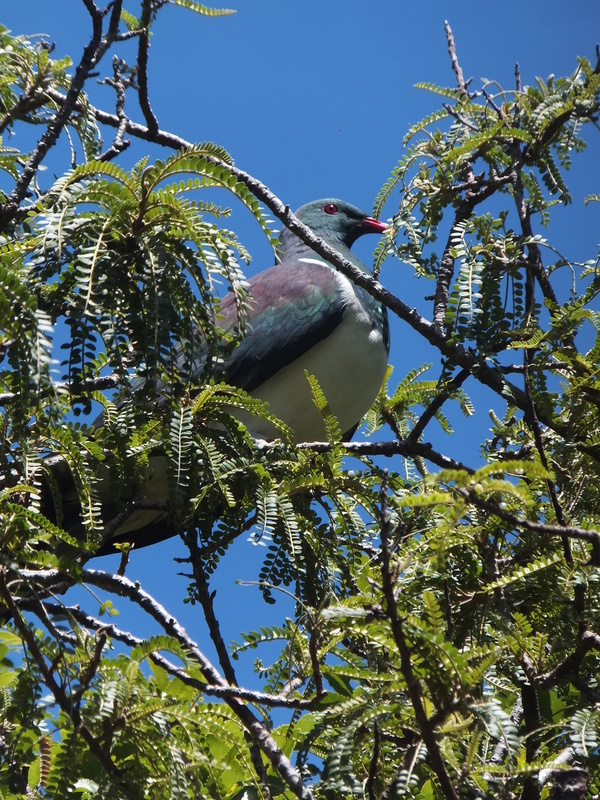 We had a glorious sunny day on Tiritiri Matangi, and saw a good variety of native and endemic birds as well as beautiful trees and plants. 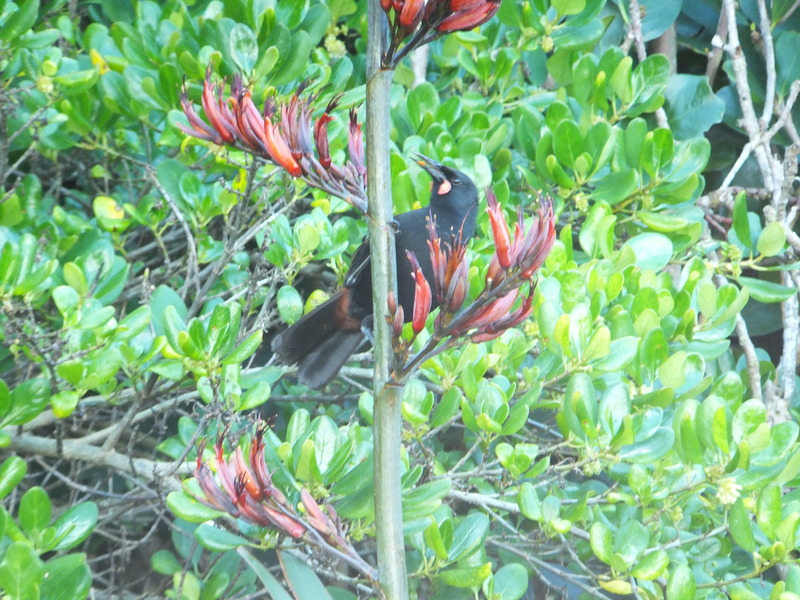 The Saddleback is an example of bird found only on protected islands. 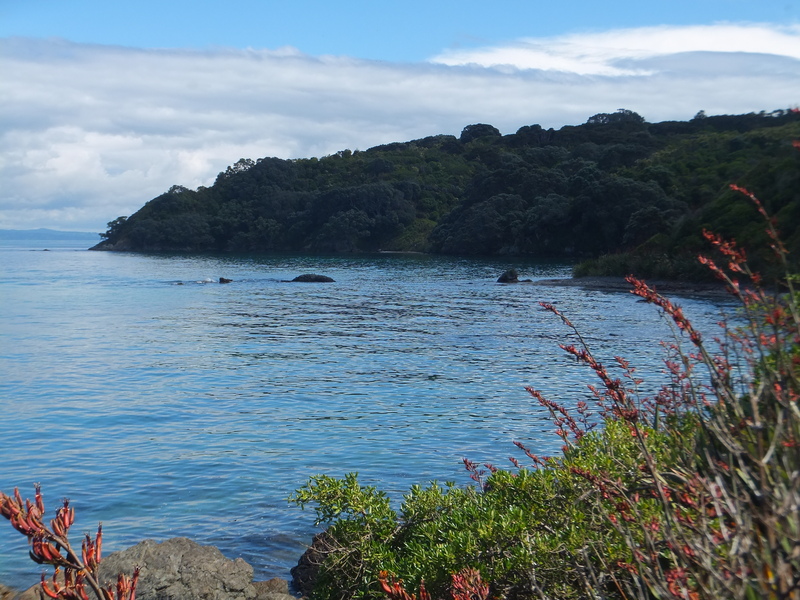 The sea really was the colour in the photo below, like a huge Paua shell. 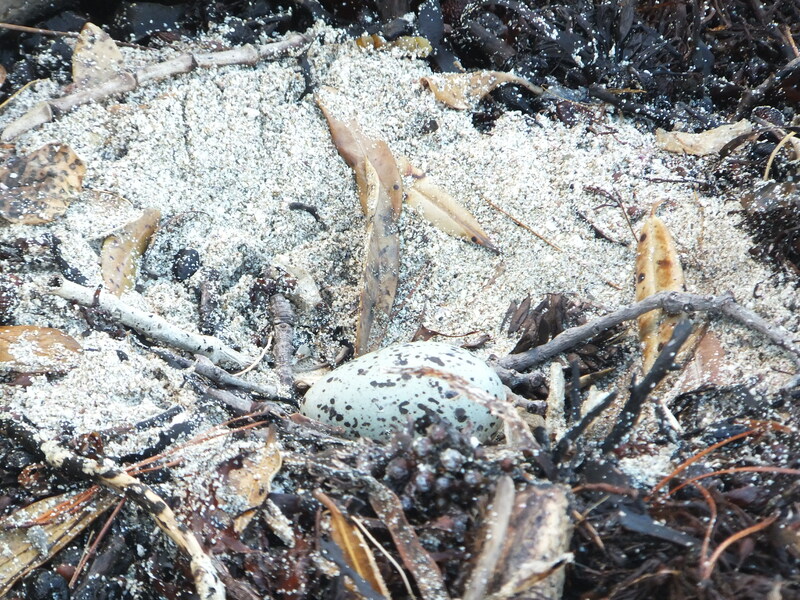 The nest of a Variable Oystercatcher, with one well-camouflaged egg. 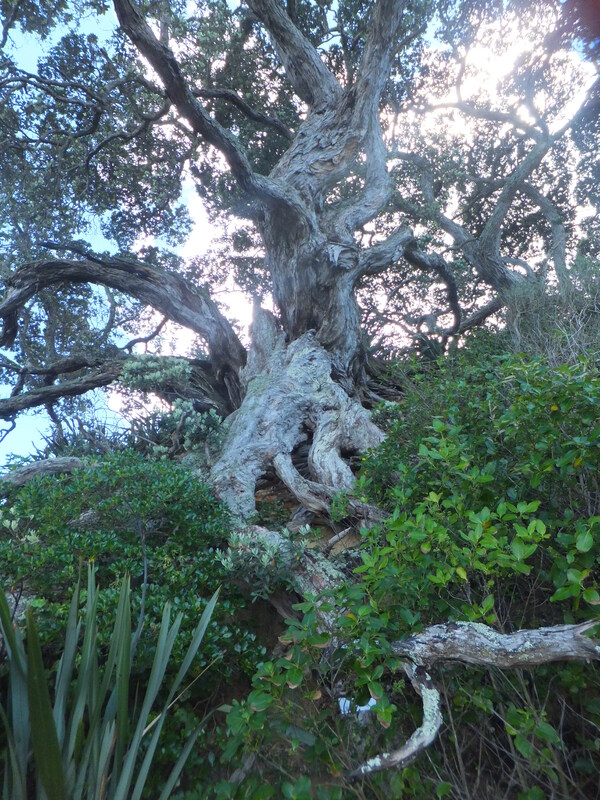 Nobody now lives on the island, though some researchers stay a short time, and tourists can stay overnight to look out for Kiwi. There are amazing views from the old lighthouse at the top of the island. 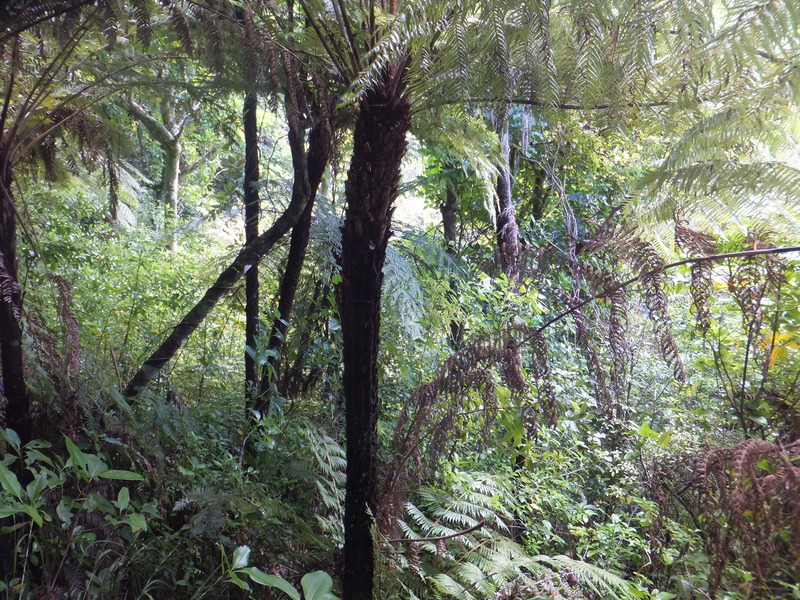 Typical rainforest with a plethora of plants unique to New Zealand, many of them giant tree ferns. 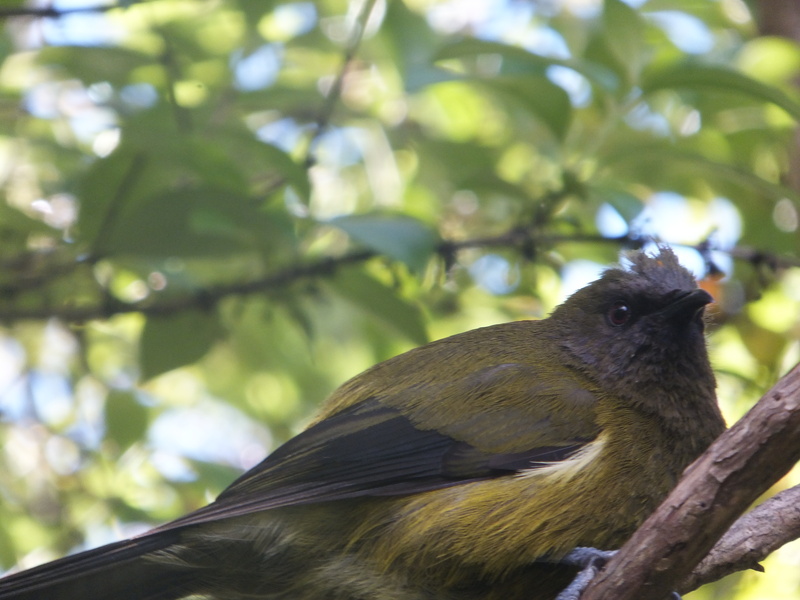 We saw our first Bellbird here, but heard and saw many later, especially in the South Island. 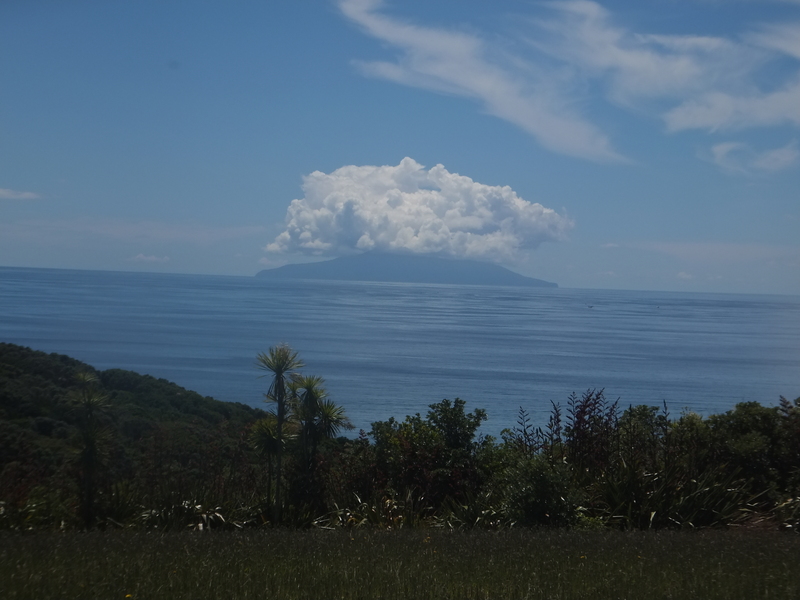 The view from Tiritiri Matangi of Little Barrier Island, another island sanctuary, with the hovering cloud making it look even more like the active volcano it once was. The view from the lighthouse area. There are a couple of Takahe (big flightless swamp hens) invisible in the distance!